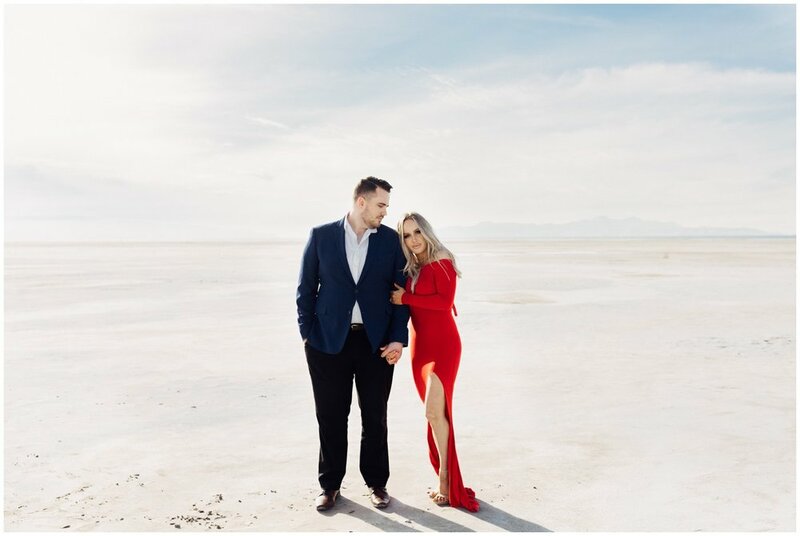 The Saltair is a gorgeous location nearly year round- Stunning yet simplistic enough to not detract from you and your lover during your session! During the summer it's warm enough to run around in the water. A great option if you'd like to look of the Salt Flats without traveling for hours from Salt Lake City. Located near The Great Saltair concert venue. -drive to the saltair concert venue. -park on the gravel parking area outside of the venue parking-before entering yellow gate. -plan on shooting 90 minutes before sunset or at sunrise. -bring bug spray in the spring/summer-low water brings pesky mosquitos. -best to wear bold colors, stay away from busy patterns. -there is not a changing area. if you wish to change outfits (optional) plan on changing in the car. Tunnel Springs Park is in American Fork, UT- Unlike other gorgeous canyon locations, Tibble Fork is open year-round. The reservoir is surrounded by gorgeous pines, and aspens. On busy days, I prefer to start shooting up the road- just past the reservoir, to a field of pines and aspens. Once the crowds have decreased, I shoot 15-20 minutes around the reservoir. -enter the canyon, and drive until there is a fork in the road. -meet me at the Tibble Fork Parking lot. -follow me up the road past the reservoir. -plan on shooting 2 hours before sunset or at sunrise. -bring bug spray in the spring/summer. -best to wear neutral earth tones. -there is a camp-bathroom. (not glamorous) but it works as a changing room if you wish to change here. Tunnel Springs Park is in Bountiful UT- The perfect location if you're wanting a variety of looks. Tall fields, rolling green hills, and a gorgeous olive tree. Although the greenery is gone during the winter, it is still a great spot year round! Spring - Shorter green grass and wildflowers. Summer - Grass on the hills is brown but long and flow-y creating a gorgeous field. Winter - Fields are dead but still a gorgeous rolling hill look. Even more gorgeous covered in snow! -drive to the Tunnel springs park, you will arrive to a parking lot in front of the park. -best to wear neutral or bold colors. Girls, floral dresses look so pretty here! The Sand Dunes are stunning year round, and a great choice if you're wanting something a little different for your session! The Sand hills are simplistic enough to not detract from you and your lover during your session, but also add depth and a little drama to your images. From some angles, you even get a nice view of the mountains in the background. For engagements, plan on wearing an outfit that looks good without shoes. -- This is the best place to run around barefoot! -a $75 traveling fee applies to carpool from Payson. -a $150 traveling fee applies if I meet you there or if I drive us there. -Located an hour and a half from Payson, UT. -plan to start shooting 90 minutes before the sunset. -meet chelsea at the 248 exit of i-15 in payson. There are many gorgeous studios throughout the SLC area- typically around $45-$75 per hour. Studio's are a great option in the winter or hot summer to avoid the weather, and bring a beautiful and timeless feel to your session. -once we decide on a shoot day- I will book the studio. -you will be invoiced for studio time after the session. Capitol Reef is located in Torrey, UT. 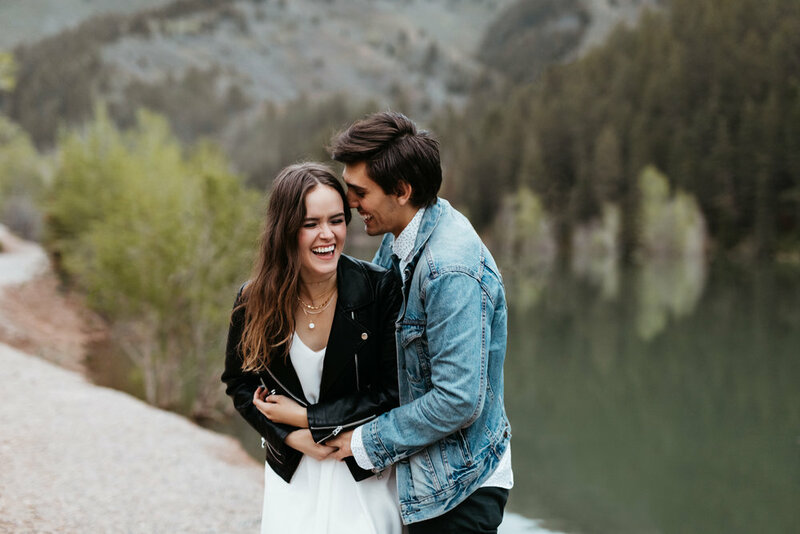 This is the perfect spot for adventurous couple's wanting to explore for their session- filled with stunning overlooks and gorgeous red rock. Optional purple,pink,orange sand hills. Gorgeous views over Gooseneck overlook, Large red rocks at Twin Rocks, and Chimney Rock backdrop. Great option year-round. -We can "get ready" in my cabin, located 15 minutes from capitol reef. -plan on shooting 90 minutes before sunset. -you will be invoiced for travel after the shoot. -$150 fee if carpooling, $300 to meet there. Downtown SLC- Cute city backstreet's with a rooftop as well. Great for a more urban look. The Cherry blossoms around the grounds are bloomed in April-May. -make sure to give yourself a few extra minutes to find parking. -park on the street inside or around exchange place. -please refrain from wearing busy patterns. Dead Horse Point is located in Moab UT. This is the perfect spot for adventurous couple's wanting to explore for their session- filled with stunning overlooks and gorgeous red rock. -4 hour drive (both ways) plan to leave 5 hours before sunset. 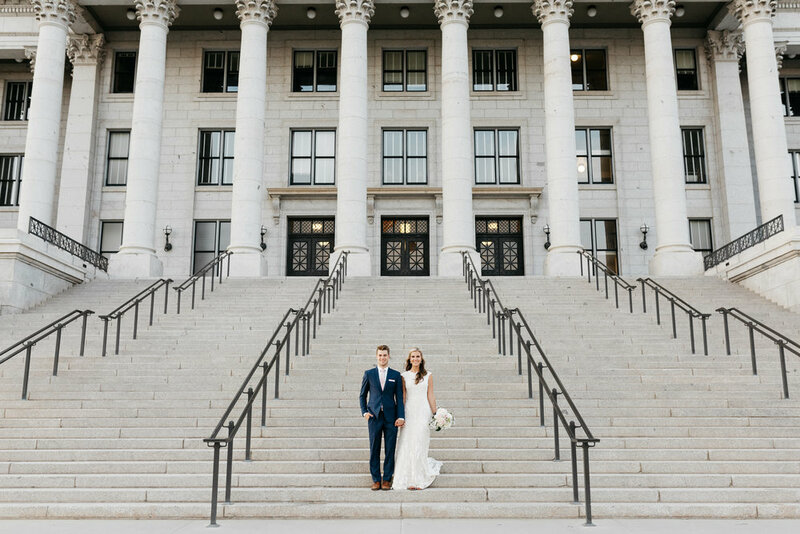 The Capitol is a great, timeless location year round. 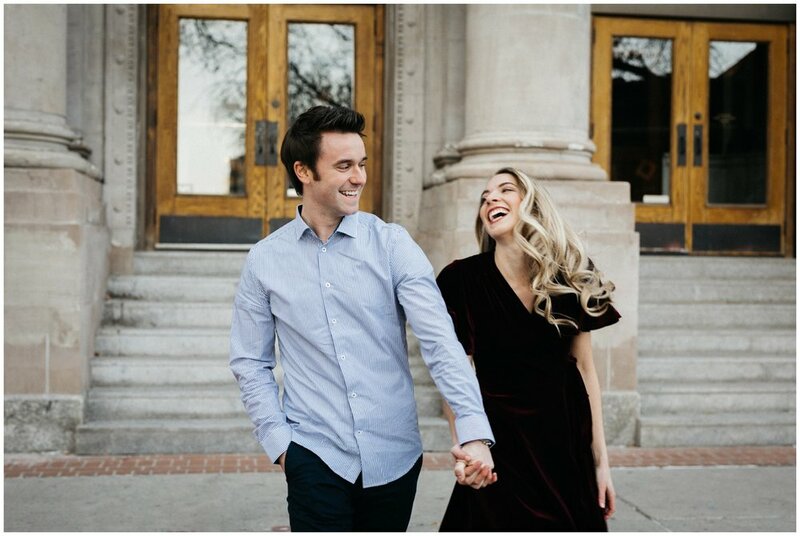 Perfect for a more traditional engagement or bridal session- Memory Grove is also directly across the street if you'd like to add in some variety with greenery as well. This location is recommended if you are afraid of getting your wedding dress dirty outside - or if the weather is looking a little dodgy! The Cherry blossoms bloom early April, this is usually the busiest time of year but a gorgeous location for spring pictures. Jordan Pines is a 20 minute drive up Big Cottonwood Canyon, it looks beautiful all year long. Large Pine trees and gorgeous Mountain backdrops deep in the canyon make for a gorgeous shoot in the spring, summer, fall, and winter. -plan on meeting 2 hours before slc sunset or at sunrise. -meet at the mouth of big cottonwood canyon 2 hours befoer sunset. -we will drive 20 minutes into the canyon to a parking lot in jordan pines. -bring bug spray during spring/summer. Antelope Island is located around 40 minutes north of SLC. $40 traveling fee. Rocky landscapes and mud flats make the island look the same year-round. Best during winter and early spring- Antelope Island is nearly unaccessible in the late spring and throughout the summer due to bugs. -bathrooms aren't always accessible, plan on changing in the car. -bring bug spray during spring/summer. shallow water bring pesky mosquitos! Albion Basin is only accessible July-Early September. Gorgeous mountain backdrops with large boulders and wildflowers. -parking is INSANe. be prepared to carpool. -drive up little cottonwood canyon until you get to the ranger booth. 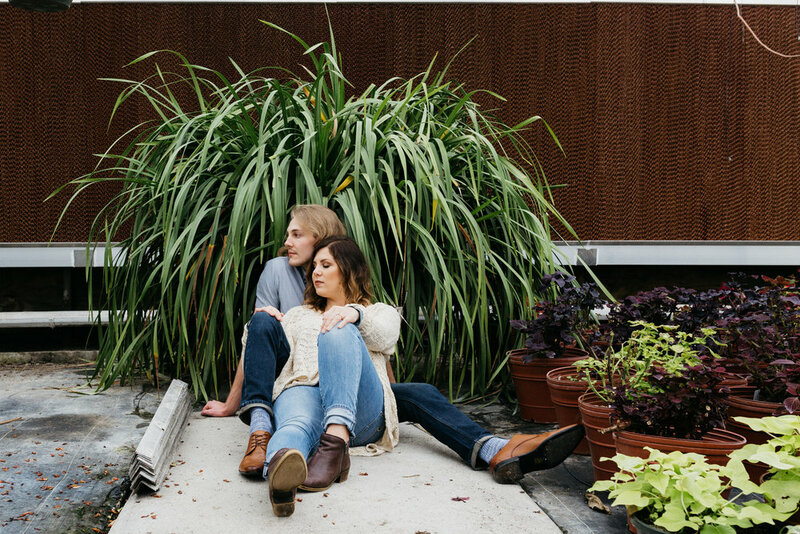 Greenhouses are a great choice when you want to avoid the cold in the spring, and want some color in your spring engagements! Cooks greenhouse is located right off the freeway in Orem. Cooks allows sessions in the afternoon, and charges $25-30 per hour. They have multiple different greenhouses, and cute hanging florals to walk through. We will be shooting during store hours, so we will have to be dodgy of customers. -wear clothes that match the greenhouse feel. Don't wear winter attire. -I charge $20 travel fee for me to meet you there.